This sturdy vacuum insulated, double wall, 18/8 stainless steel tumbler will keep your drink hot for up to 12 hours and cool up to 24 hours! 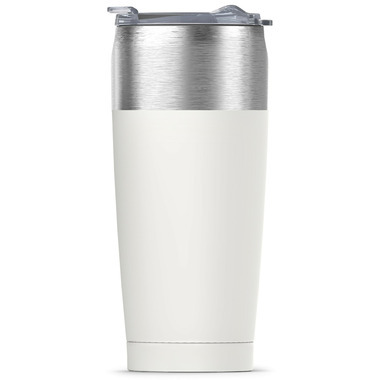 A transparent spill proof adjustable lid completes this modern on the go tumbler. The stunning dual finish gives the Tied Tumbler a modern upscale look and a solid feel with a large capacity. it is the ultimate tumbler. Grab one for the office, school, or car.